Is a Bigger Bottom Line Consistent with Liability? | KPS Surety Bond Insurance Services, Inc.
As we all know, the construction industry is booming with opportunities being plentiful. Nearly everyone is making money and many firms have record backlogs with bigger bottom line profits. However, is the increase in the bottom line consistent with the increased liability being assumed to make those profits? Construction spending is up and based on the forecast below that trend is not going to reverse itself soon. All areas of nonresidential and residential construction are forecasted to increase through 2020. In addition to nonresidential and residential construction the military is spending as well. The military construction, family housing, and homeowners assistance budget from fiscal year 2017 to 2018 grew 18% from $8.2B to $9.7B. It is further forecasted to grow another 7.2% in 2019 to $10.4B. So, with all this forecasted work the opportunity to grow and be profitable is there. However, with any sort of opportunity there is inherent risk as well. As many of us hear, and unfortunately some experienced, many construction companies are only one bad job away from a tough year and a couple away from a really bad year or worse. If you are growing are you recognizing the returns needed for the additional liability being taken? For example, a firm doing $15,000,000 in revenue traditionally makes a five percent net income before taxes of $750,000. That same firm decides to grow to $25,000,000 in revenue but net returns drop to four percent of net income before taxes or $1,000,000. Great you made more money! However, for $250,000 in bottom line profits before taxes you had to do an additional $10,000,000 in revenue. The return on that extra $10,000,000 of liability was 2.5%. Was this worth the risk undertaken? This may or may not be acceptable but you should be keenly aware of whether or not your firm is positioned and properly structured should you elect to grow while the market it hot. Various areas of your construction business are listed below for you to consider should you be looking to grow. It is not uncommon for firms that grow to need to reevaluate their personnel and systems. Those include accounting, estimating, project management amongst other things. While you know your company and abilities better than any outsider here are some things to consider. Accounting – Is the current system able to handle the increased volume of revenue and activities? For example, you need to be able to track materials, labor hours, wages and fringes, full and partial releases from subcontractors and suppliers, insurance certificates, etc… In addition, everyone is going to need a system that works well with the new accounting standard 606 coming on line January 1st, 2019 or that could be a costly internal expense as well as CPA cost to comply with generally accepted accounting principles (GAAP). In addition to proper systems to handle growth is your accounting department staffed adequately with qualified personnel to manage your needs? Do they have the experience or training to handle a jump in growth and the workload that comes along with that growth? Are they adding value to the company and reviewing the financial data or are they simply pushing paper to get the job done? Are they aware of the new accounting standards that need to be implemented and are they trained and ready to ensure you are GAAP compliant? Estimating – Does your current estimating system have the capabilities to handle larger jobs or a higher volume of jobs? Does the system work with your accounting system to make it a single point of entry or are budgets being re-entered into the accounting program which could lead to data entry errors? Is the estimating department staffed properly? Do you have enough personnel to handle the workload competently? Do your estimators have the experience to handle the increased volume or larger projects that are propelling your growth? Are they also aware of the new accounting standards coming on line January 1st, 2019 as they will be impacted as well by how jobs need to be bid and tracked. Project Management – Is your system technologically current and collaborative. Can data be shared amongst team members? Is the system web based and usable on various devices such as mobile phones, tablets, laptops, and desktops? How well does the system track and collect submittals, RFI’s, contracts, schedules, and drawings? With more projects and people involved in the construction process the more important it is to have a system that can help you manage all aspects of the construction process and paperwork. Management and Field Personnel – Labor shortages is a common problem right now for nearly everyone. The ability to secure qualified personnel both from a management and field standpoint is challenging. Are you structured properly both internally and externally to handle the increased volume? As of July 2018 nonresidential construction unemployment stood at 3.4% which is a 53% decrease from January of 2018. The ability to find, train, and retain quality field personnel from a project management level down to field workers is challenging to say the least. Do you have access to quality field personnel to execute the work you are winning? Do you have the project management/superintendents that are capable and experienced to handle the new workload? Are personnel that are known to you managing your core projects that will make or break the year or are you relying on new personnel (aka resumes) to make you successful? Do you have the proper middle management in place? As you grow it is harder to keep a close eye on everything without help. Do you have middle management in place that can help take on that burden and manage the work undertaken? General Contractors – Is your company structured properly from upper management down to superintendents to manage the new work load effectively? The ability to manage the overall job and subcontractors to perform at the pace you planned is critical to maintaining your profit margins. What about the subcontractors you are hiring? What do you know about them, are they a repeat subcontractor or someone new to your firm? Do you review their financials and/or D&B reports? Do you consider bonding critical path subcontractors and trades that are specialized and hard to replace? It is hard to replace a failed subcontractor today with another for the same contract price. Even prior to subcontractor failure concerns what about the level of performance being done? Many firms are stretched beyond normal capacity in terms of management and field personnel. Are they still operating at a level that is acceptable to you and that will allow you to maintain your profit margins? 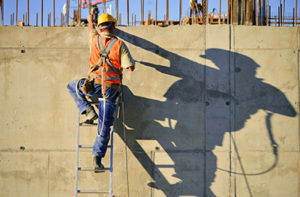 Subcontractors – Face it, you are in demand right now. It doesn’t hurt to be selective with whom you are working for in this environment. Does your firm have the management and field personnel to take on the new opportunities? Do you have the cash flow to front all the new work until billings catch up and retentions finally get collected? Where is the work coming from – Is the growth coming from repeat customers? How well do you know who you are working for on new projects? Is it a repeat owner/general contractor? If you are bringing on new clients whether it be an owner or general contractor what do you know about them? Have you underwritten your risk? Everyone has a different level of risk but some simple things to consider – do they pay well, are they fair with change orders, are they litigious, is the contract fair, what does your surety/banker/CPA know about them, what does the D&B report and or financials on the company say about them? Are you entering into a new territory chasing opportunities or is the work in your normal area of operations? If you are expanding your footprint what do you know about the local market, local generals, local subcontractors? Are you making your employees travel long distances away from family that may impact productivity? Materials – With the increase in demand for materials along with tariffs what is the lead time and cost of those materials? Can you buy futures to protect against price increases? Can you stockpile material to manage costs or are you subject to price fluctuations? Cost of Money – With growth year after year it is often challenging for cash flow to keep up. Depending on your trade and negotiating abilities retainages can be held for a long time. With continuous growth a significant amount of cash, and profits, get held up for some time. As outlined below the cost of money is not getting any cheaper with prime rates sitting at 5% and poised to increase. The carrying costs of receivables and retainages is something to consider as that can impact the bottom line significantly. Can you say no? – Do you have the discipline to say no to work? Are the opportunities pushing you outside of your company’s business plan? Not every job is the perfect job so is the economy running your firm or are you taking advantage of the opportunities that are best for your company to maximize profits. The ability to grow with the right type of work is a great thing that can propel you to new heights. However, growth for the sake of growth because the work is out there for the taking can backfire on your firm. The end – The yield curve, or difference between interest rates on short term U.S. government bonds and long-term government bonds, has been very good at predicting recessions over the past 60 years. When short term rates are higher than long term rates the curve becomes inverted. Since 1955 an inverted curve correctly preceded nine recessions and has had one false positive in the 1960’s. Even then an economic slowdown occurred but it did not officially become a recession. As you can see below we are getting very close to an inversion and traditionally that signals a recession roughly one year from when the inversion occurs. Sooner or later this market will turn and companies need to be able to right size quickly. Otherwise all the profits gained can be lost just as quickly if not quicker than it took to earn them. Are you analyzing your firm to know where you will cut and manage overhead? This current construction market is great with opportunity for record profits. Firms just need to be aware of the risks that they are undertaking to capture those profits and ensure they are happy with the balance of profits to risk taken.